Horse shows are a great way to enjoy some uniquely OKC family entertainment. After all, Oklahoma City is the Horse Show Capital of the World, hosting more national and international equine championship events each year than any other city in the world. And State Fair Park, which is home to the world-class equestrian facilities that host all of the horse shows in Oklahoma City, is just four miles due-west of Downtown. Some shows focus on a certain discipline, but others, like the Grand National Morgan Show, are all about the breed. And breed shows are a great way to see a variety of competitions. 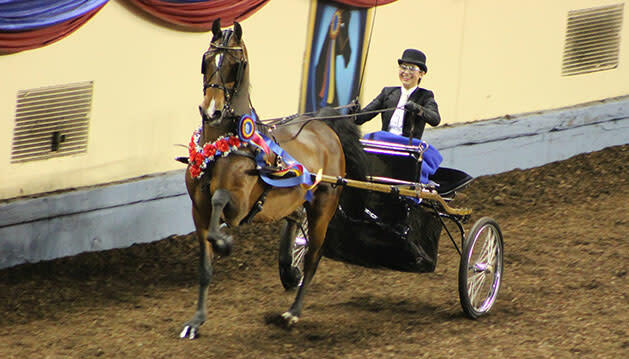 At the Grand National Morgan Show, you’ll see everything from carriage pulling to western reining. It’s a good mix of both tops-and-tails and boots-and-hats, otherwise known as English riding and Western riding. And here’s a tip: Be sure to check out the decorations in the barn area. The Morgan folks go all out. If you ask nicely, most owners are more than happy to tell you all about their horse, the discipline in which they compete and anything else you may want to know. Want to see real-life cowboys and cowgirls doing real-life cowboy and cowgirl stuff? This is the show for you. 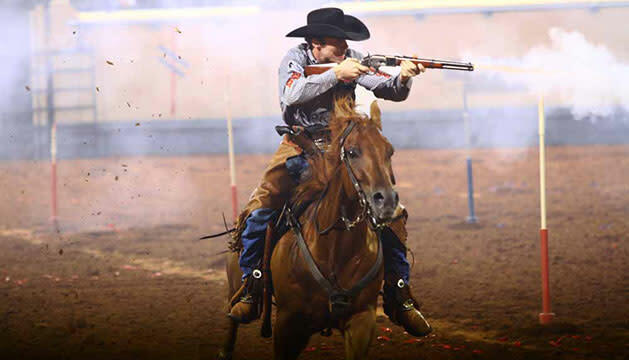 The US Team Roping Championships brings the best from seven regional finals to OKC to compete for one of the richest prize packages in equine and rodeo-related competition. It’s fast-paced fun, with all of the action in team roping usually occurring in under 15 seconds (sometimes even less than five). Thousands of competitors and their American Quarter Horses come from all over the world to compete in a variety of disciplines. This is the largest show in the world for the largest breed in the world. It also has one of the coolest gift and trade shows, if you’re looking for a fun souvenir. Reining displays the kind of athleticism a horse needs to work cattle, just minus the cattle. There’s lots of sliding and spinning in this one. 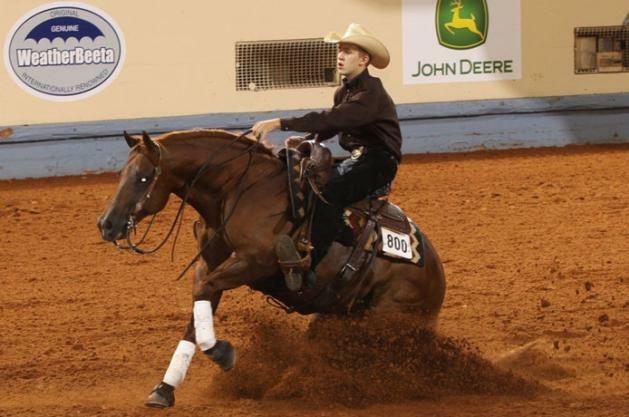 The National Reining Horse Futurity is the most elite reining event in the world. More than 127,000 visitors from nearly 20 different countries will pour into State Fair Park for this year&apos;s competition. 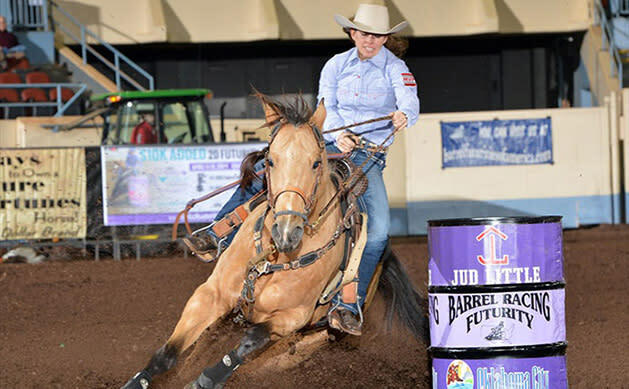 Barrel racing is a fast-paced event, with racers completing their cloverleaf run around three barrels in about 15 seconds. And while some men compete at various levels, this is one primarily for the cowgirls. The World Championship is held each December in Oklahoma City. No matter what time of the year you find yourself in OKC, chances are good that some of the best riders in the world are also here competing for top honors. And we promise, you don&apos;t have to know a canter from a gallop to have good time and boots are optional.